Reminds me of Rome and Carthage..
Rome talked Carthage into disarming, disbanding their army and siege equipment trying to appease the Roman senate. Then Rome pressured them to give up there children before attacking when they refused to completely destroy the city. Because NK is agreeing to give up their nukes. Iran only claimed they would stop pursuing, we already know they didn't. The way things are going, the entire korean peninsula will be thriving by the time trump leaves. Iran will be a black hole. Pretty good reason for NK to keep talking to Trump. In the past, NK promised to give them up but didn’t. Iran, on the other hand, has been certified by the US and Europe to have abided by the agreement. Trump is just a damn fool. How is that the opposite? Iran has complied with the deal 100% and now we are going to pull out for no reason other that Trumps hyperbole. Exactly. siege of city states is the same today. The only difference is the methodology. Modern Hegemony of finance is by remote control and weapons are stand off. Come on now... They are not in 100% compliance and you have to know that. In this context, the IAEA’s reports have failed to include key information on a range of compliance issues, including centrifuge R&D, nuclear weaponization activities, IAEA access to military sites, illegal procurement efforts, and the exact amount of heavy water under its control. After the release of the latest report, the IAEA acknowledged that the agency had not inspected any Iranian military sites since the JCPOA’s implementation. Thus, in late August, an anonymous IAEA official offered another troubling admission. Asked by Reuters about the IAEA’s failure to secure access to Iran’s military sites, the official cited the possibility that President Trump would use Tehran’s refusal as a rationale to abandon the JCPOA. “We just don’t want to give them an excuse to,” the official said. Effectively, the U.N. watchdog acknowledged that political considerations had interfered with its mission of serving as an independent and unbiased monitor of Iran’s nuclear activities. So... The IAEA (whom JCPOA members rely on to judge compliance) is basically ignoring the fact that there is no real way to verify anything because they can't go to the military sites. Therefore, they are "verifying" compliance in order to avoid "giv[ing] them [the Trump admin] an excuse to [abandon the JCPOA]." I guess one could argue that not having access to the military sites is just a result of the bad deal in the first place. And, it is. That's one reason we should get out of it. It's a terrible deal with meaningless certifications. If IAEA's certifications that Iran is essentially adhering to the agreement (despite a few minor heavy water cap violations) do nothing to actually verify Iran is abandoning it's nuclear weapon programs, what use is the agreement? Maybe that's the point you're choosing to ignore. I dont dislike the USA whatsoever. I dislike the shadow government that runs the USA with a total disregard for democracy. You are grotesquely misinformed. You think all those countries in the middle east that have been bombed over the last couple of decades in the middle east are happier for it. They say a picture paints a thousand words. 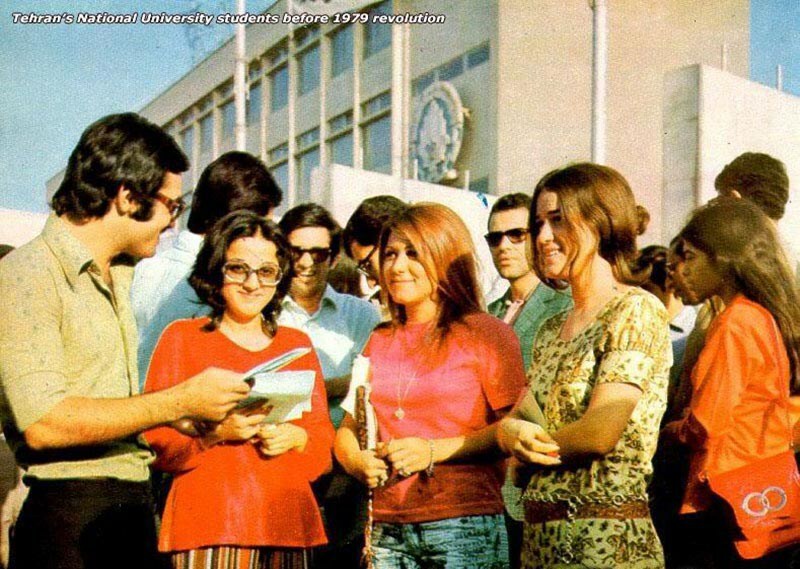 Below is picture of Iran before the Islamic revolution (Yes a well documented CIA Operation) You think the people there are happier now. Sounds more than a little dellusional to me. Understand your history if you want an informed opinion or continue the way you are if you want to remain ignorant. The choice is yours i cant do it for you cupcake. My stats are not wrong cup my sweet little cake. Where did you get your figures from. I got mine from the Lancet Journal. Who did the only full peer reviewed study of the death toll caused by the occupation. While most of your statements in this post are questionable (or outright fabrications), I'll concentrate on the one most obvious lie. You are a funny man. Your figures are based on NGOS run by governments. My figures where based on Science. Now I will wait for your predictable reply where you try and dismiss the Lacent Jounral. (One of the oldest scientific peer received journals in the UK) as a load of rubbish. So how about my other lies..
ISIS funded by the pentagon.. Thats a big truth (Read the pentagon papers) Then comment if you want. Iraq had nothing to do with 911. Thats a truth too. I wait with baited breath for your reply. Adleast give me some substance to chew on.